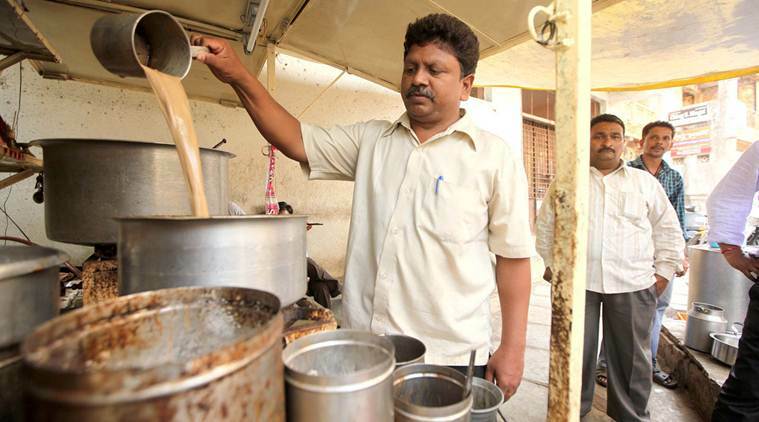 HomeTrendingThis Karnataka ‘ChaiWala’ gives free Internet with 5rs Cup of Tea. A 23-year-old chaiwala from Ballari, a remote town in Karnataka — Syed Khadar Basha — came up with an idea that has got his tea business booming. Yup, you guessed it! He installed a router in his tea shop. While the big telecom empires are calling each other out on a battlefield, this guy is offering free data for 30 minutes to customers who buy a cup of tea worth merely Rs 5. To give you a little background on how this idea really works, Basha told TOI. “Offering free data in cities like Bengaluru may not be a big thing especially when we have free wi-fi zones and also a few mobile operators offering free data. But, when we think of a remote town like Siruguppa, internet penetration is pretty low. These days, many people are buying smartphones as they are getting addicted to social media or they want to access their emails. After Basha introduced the scheme in September, his business has grown by four times. Earlier, where he would sell around 100 cups in a day, now it has elevated to 400 cups. One can witness long queues forming in front of his shop from morning till evening. He simply purchased a Wi-Fi router worth Rs 3,000 and unlimited monthly data plan worth Rs 1,700 from a local cable operator. Buy a cup of tea for Rs 5. Get a coupon with a Wi-Fi password on it along with your hot cup of chai. Go wild on the internet for 30 minutes. Watch the internet getting disconnected the moment your 30 minutes are over, automatically. When Basha, who has studied only till the tenth standard, was asked on how he stumbled over this idea, he said to TOI. During my interaction, I found that these students would get a pocket money of Rs 100 per month and they couldn’t afford to buy a data pack. So, I asked myself, why not go for a technique which will not only help these students but also boost my revenue. Following a series of discussions with my friends, I thought of offering free Wi-Fi. Now, I see that many of my student customers are enjoying reading their emails or accessing Facebook.